We're on Georgia Street across from Bankers Life Fieldhouse, home to the Indiana Pacers, so you'll be near the action! The nearest intersection is Georgia & Pennsylvania so downtown Indianapolis living is made easy, being just minutes from your favorite restaurants, bars, and local hot spots. 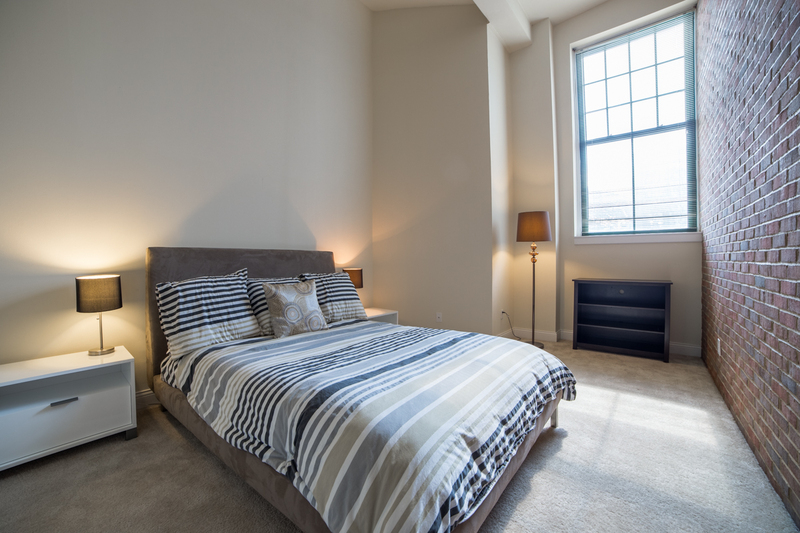 One and two bedroom apartments are available depending on occupancy and could be anywhere between 600 and 1290 sq. ft. so please contact us to check for availability or schedule an appointment today! 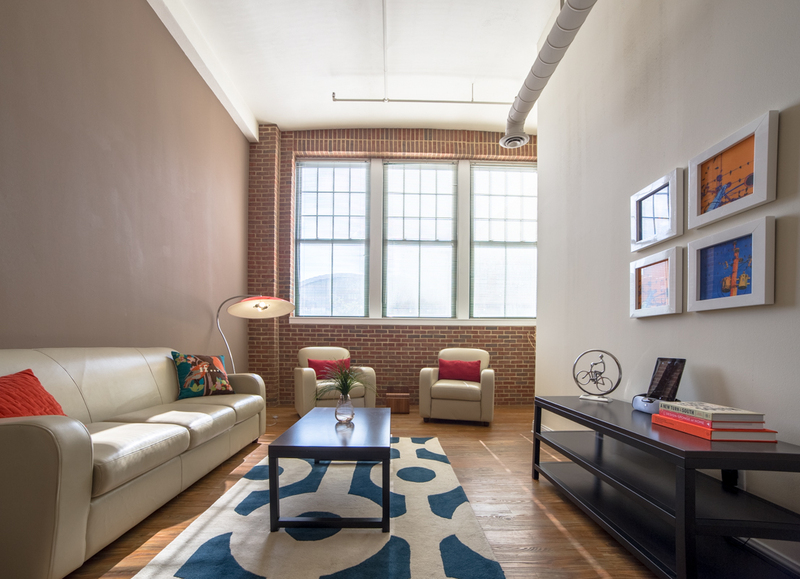 With 14 ft. ceilings, 4x9 ft. windows and exposed brick walls in renovated apartments, your new home will have plenty of character and space for your lifestyle. For parking, we have spots on a $100/month reserved surface lot, a $150/month compact garage, and a $175/month non-compact garage. We also have an elevator, 24 hour fitness center, free laundry facility, and beautiful views of downtown. 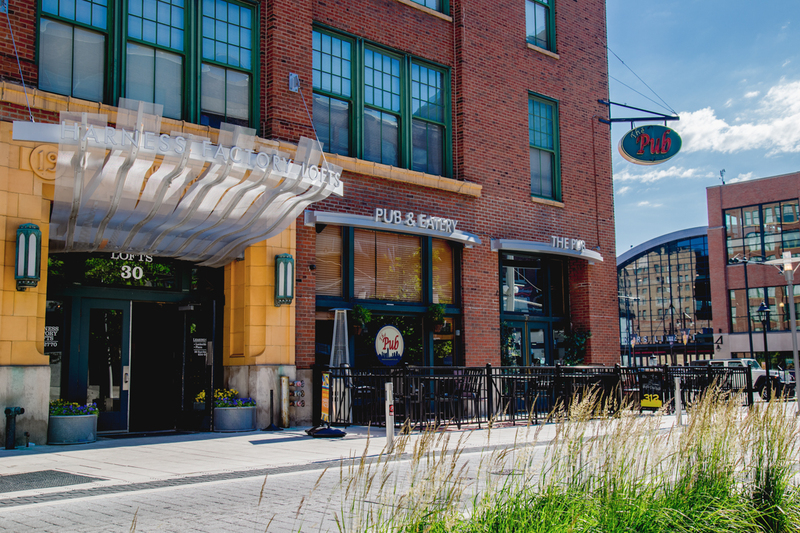 We even have a convenience center and pub connected to our entrance, so you don't even have to leave the building for some necessities.